Looks like Easter came early. 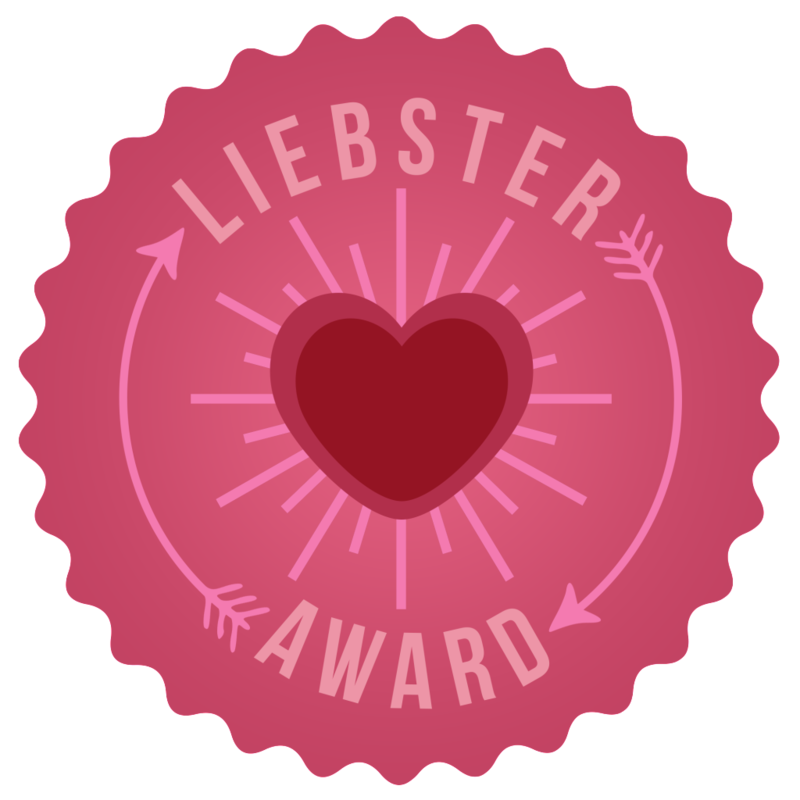 It turns out I’m nominated again for the Liebster Award, twice! At this point, I now have three of these awards. Thank you Silver Screen Serenade way back in February and The Cinematic Frontier for the nominations! Time for round two! 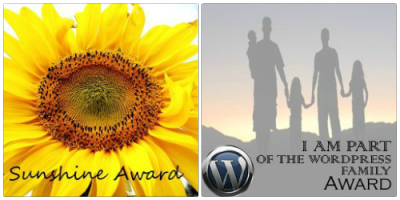 The bloggers who have been nominated must link back to the person who nominated them. Nominees must answer the eleven questions given to them by the person who nominated them. Those nominated must choose eleven of their favorite bloggers who have less than 200 followers to answer their own set of questions (sidenote: I’m going off of how many followers WordPress tells me you have, though I’m not sure how accurate this is). The first part’s done. Now, since I’ve been nominated by two separate people, I’ll answer in the order of who nominated me. Time for the questions. 1. Favorite vacation spot? Eastern Ohio, right around the West Virginia and Pennsylvania border. Really cool hills (and scary narrow roads to boot) and most of my family is from that area. 2. Favorite color? I’m into an electric blue, like my Nintendo DS that I still have (first model version). Nowadays, I’m leaning toward a mixture of black with lime green accents. 3. Favorite dessert? Cheesecake. I ask for one every birthday (and everyone else in my family). Triple chocolate. 4. Black-and-white movie? Toss-up between Eraserhead and The Elephant Man. 5. Favorite superhero? I’m not as big of a superhero kind of guy like most people. However, I’d go with the Hulk from The Avengers movie. 6. Favorite TV show? Just one? Twin Peaks. 7. Favorite book? 2001: A Space Odyssey. Go figure, right? 8. Favorite Beatles song? “Revolution 9”. I even have a Pandora station based on it. Ironically, it has more Pink Floyd than Beatles songs. 9. Favorite dog breed? Huskies. 10. Favorite beverage? Ginger ale. Can’t go wrong with that. 11. Favorite nerdy franchise? My Little Pony: Friendship is Magic. I’m not a die-hard fan but I enjoy the subtle references they include in the show ranging from Gone With the Wind to The Big Lebowski. I’ve talked about how one two-part episode eerily syncs with “The Wall” (it’s really worth a watch, regardless if you like the show or not) and how I met the season four co-director. 1. What is your favorite new release of 2014 so far? The LEGO Movie.It’s the only new release I’ve seen this year. 2. Do you prefer 3D or 2D? 2D. I can handle 3D just fine but wearing a second pair of glasses on top of my regular ones as well as knowing the colors are duller isn’t an ideal viewing experience. Now, for films like Avatar and Gravity, I’ll see them in 3D because it is done well. 3. What is your favorite film from the year you were born? Groundhog Day. 4. Star Trek or Star Wars? I’m going with Star Trek because I don’t have to ask myself which version I’m watching. 5. Which Comic-Con have you most recently attended (or, if you’ve never been to one, which one do you plan or wish to attend)? I’ve never been, but I would love to go to Comic-Con at least once in my life. If I’m ambitious enough, I might cosplay though I’m not sure what character. 6. Blu-ray or streaming? Since I personally don’t own a Blu-ray player or have a subscription service, I can’t really say. If I’m online, I’ll find full movies on YouTube, like Persona but you have to dig deep in order to find them sometimes. 7. Name your favorite ’80s song in a film. “Don’t You (Forget About Me)” from The Breakfast Club. 8. What is your favorite film based on a book? 2001: A Space Odyssey. Yes, there are differences between the book and the film but I still enjoy it. 9. What is your favorite (or least favorite) Nicholas Cage haircut? My favorite is Sailor from Wild at Heart. I haven’t seen that many Nicholas Cage movies so my options are limited. 10. Which film recently made you reflect on it long after the credits were over? Henry: Portrait of a Serial Killer. I was uncomfortable with how the events played out. I appreciated how much was done with such a low budget but it was still unnerving. 11. Who is your favorite composer? Michael Giacchino. I was introduced to his work from The Incredibles but I never really paid attention until I started watching LOST. When I was first nominated, I included a list of people (click here to see if you’re on it). If you have not claimed your award then, please do so and answer those questions. If you happen to have been nominated again, answer both sets of questions. 1. Should older movies be converted for 3D, like The Wizard of Oz? 2. What is your least favorite Disney movie (animated or live-action)? 3. How often should movies be rereleased for home media? 4. What movie would you recommend for a date? 5. What television series would you like to see rebooted? 6. Who is your favorite Sherlock Holmes? 7. What is your answer to life, the universe, and everything? 8. Do androids dream of electric sheep? 9. If you had the choice, would you live forever? 10. Where do you see movie theaters going in the next twenty years? 11. What is the air-speed velocity of an unladen swallow? Now you know (and knowing is half the battle). Thanks again! Thank you Film Grimoire for nominating me for this award! I checked in this morning and saw her post about it. Turns out that I’m the 10th nominee (best for last, I suppose). Thanks again. The link above has the ten questions, so here I go. What was your favorite televsion show as a kid? Blue’s Clues. I had an inflatable thinking chair, most of the cool orange videotapes, made Steve’s cookie recipe from the treasure hunt episode, and had a Blue stuffed animal. I’m actually looking for Steve’s shirt for a Halloween costume that I really want to wear one day for a party. Of course, it’s fun to watch the college episode in college, especially with friends. What’s been your favorite holiday? Thanksgiving, or as I call it, THXgiving. You get two days off to stuff yourself silly and then go out and shop (or do nothing but have a movie marathon like me). Then, it’s the weekend, so another two days off. You can’t ask for anything more. Why THXgiving? Well, it’s shorthand for “thanks” and it’s cooler when you tie it to something like this. Are you reading a book at the moment? If so, what book? Do college textbooks count, because that’s all I have time for. What’s your favorite meal to cook? I have cooked food before but the majority of my cooking stems from reheating leftovers and going through the spice cabinet for variety. My favorite “I actually cooked this” meal would be spaghetti with alfredo sauce because it’s easy. If you could live anywhere in the world, where would you choose to live? A warm city place for starters, somewhere completely opposite from northeast Indiana. I can’t stand the cold and these past few days have been hard on me because of the weather. I’d go for Sydney, Australia. If you could choose another first name for yourself, what would it be? Hugo, not just because of the movie. It has the sense of prestige and, let’s be honest, it sounds really cool. Do you think you would survive a zombie apocalypse? Not unless it’s like Warm Bodies. I’d be a goner. Do you have a pet? If so, what type of animal is it, and what’s its name? I don’t have a pet. What’s cuter – kittens or puppies? Kittens. How do you not say no to a kitten? Who would win a battle between a giant snail and a hundred snail-sized non-poisonous snakes? The giant snail. With the weight of this particular snail and the slime they secrete, the snakes don’t stand a chance. What was the last movie you saw by yourself? If you could go anywhere in the movies, where would it be? What was the first animal you hit with a car? Watching foreign films: subtitles or dubbing? What’s your favorite guilty pleasure movie? What movie should have won Best Picture but didn’t? How do you watch The Wizard of Oz: with or without Pink Floyd? What movie do you regret seeing? You have your mission. Go! Thanks to ckckred, I have been nominated for the above awards. I’m still not sure how these things work, like if I need an official decree or something, but from what I’m given here, I might as well go ahead and answer the questions. 1. What was your first favorite movie? Well, the first favorite movie that I’ve seen that still retains it’s magic from childhood would be Babe. Some people brush it off as a kid’s film just because of talking animals, but this is still enchanting, even to a college guy like me. 2. Who do you think is the best actor working today? Nathan Fillion. Just seeing him act always puts a smile on my face. I’m not really a fan of the mean-spirited things that pass as “comedy” today. The classic silent films work better than what we have today; after all, actions speak louder than words. If I have to choose just one, which I must according to the question, it would be The General. That one, I was lucky to see on actual film with a real organist. There’s something so magical about seeing it as it really was. 4. Why did you start a blog? Originally, I did it to promote my Vimeo page (go ahead, check it out). I needed some more exposure. I realized I needed to talk about more than just myself so after some editorials, I started doing movie reviews. After all, what’s the point of being a film student if you don’t talk about film? Now, some of these reviews that I do will seem really out of left field, mainly movies for preschoolers. I mentioned in my Rain Man review that I had an autistic brother and the movies that he’s allowed to watch are targeted towards really young kids. I figure I might as well review these; after all, professional critics do it. Of course I’ll review the classics, but those will come over time. 5. What is your most anticipated movie for the rest of the year? Theatrically, it’d be Saving Mr. Banks. But since I haven’t been to the theater as often as other people have, I go by what I can legally get my hands on. I’m waiting for the DVD release of Room 237 next month. It will be paired with my review of The Shining as soon as I see the former. 6. What’s your favorite movie of 2013 so far? Theatrically, it’d be The General. But out of all the movies I’ve seen this year, it’d be One Flew Over the Cuckoo’s Nest. 7. What is a film you can see any day and never tire of? Pink Floyd’s The Wall. So much is there that cannot be seen in just one viewing. It’s not for everyone but it’s a remarkable piece of art that seems forgotten. 8. What movie disappointed you the most? This year, it would be The Treasure of the Sierra Madre. I will need to rewatch it mostly because I was distracted. In my whole life, it’d be Shrek, the first one. Sure, fractured fairy tales have been done before but now it seems that if you’re doing an animated fairy tale, it has to be like Shrek or else it fails like Hoodwinked. 9. What film do you find overrated? Gone with the Wind. I made the mistake of sitting through it all in one sitting, even intermission. It’s well-crafted but did it have to be so long? 10. What film do you find underrated? Watership Down. It’s a pity that it’s only known for the violence. But hey, it’s worth a look. If anyone knows what I need to do next, post a comment and I’ll work on it. Meanwhile, take a look around as I’m gearing up for more reviews, more videos, and another year at school.